“I retired to my room after afternoon tea one day, and scooped my exercise books out of my schoolbag. Plonking them down on the desk, I noticed a small carefully folded rectangle of lined paper poking out from between my history and English books. Dots of red ink had bled through the paper. 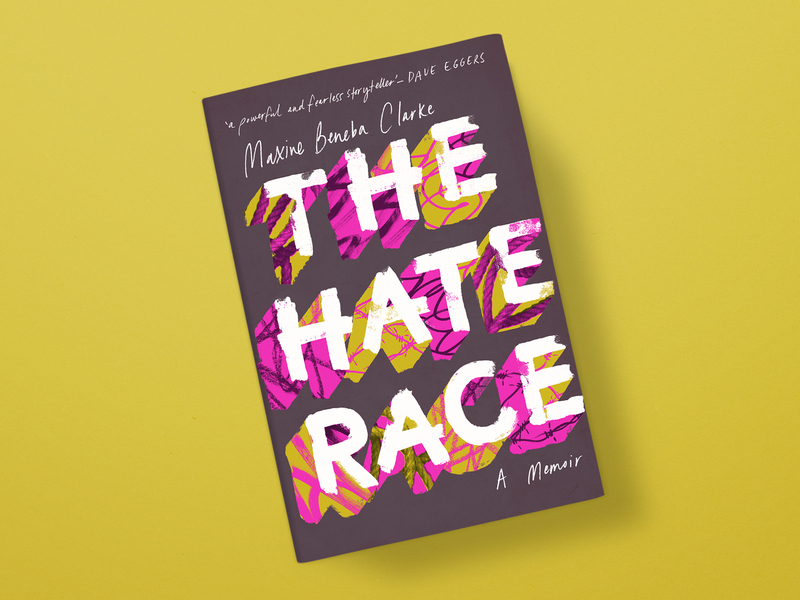 The Hate Race is a powerful memoir and important reflection on Australia’s shameful and deeply ingrained racism. Maxine Beneba Clarke, a widely published and highly lauded Australian poet and writer of Afro-Caribbean descent, recalls the early years of her suburban Sydney life in a manner that is factual and effortless. ‘This one.’ My head was hurting now. Mrs Kingsley was glaring at me again. A boy called Matthew, who was sitting at the back of the room, right next to where our teacher was standing, started laughing. I’ll admit there were times early on when I found these refrains a little trying, sometimes obtrusive (and dare I say, pretentious?). But as I read on I could see how Clarke was using the rhythm of her ballad to show us how storytelling can be an act of resistance, and can inspire it. There’s an excellent critical feminist essay to be written on this approach, I’m sure! This said, the bulk of The Hate Race is written in such an accessible way that someone who doesn’t overthink and overread - perhaps someone that doesn’t often read at all - would power through unaware of Clarke’s song. 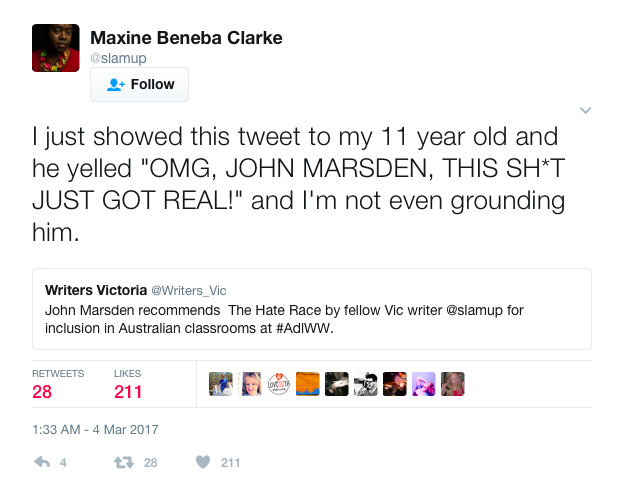 I have no doubt there’s an abundance of reviews out there that begin with “there is so much of Maxine’s story that rings true for me - the Cabbage Patch dolls, Book Week dress-up parades, Inspector Gadget, the cream brick houses, the pet tadpoles, the clag glue, the white-history-only school curriculum. Her childhood was just like mine [only, OMG, I am suddenly so aware of my white privilege] [only my family migrated from X and I’m so happy I’m not alone in these experiences].” These reviews are great, they are important, they show us that The Hate Race has us looking critically at our own reflection. But a book like this needs to be read more widely. It deserves to be shouted about beyond the echo-chamber of these halls. It needs to be read by the Carlita Allens in whose preschool declaration of ‘You are brown’ “lurked…an implied deficiency”, by the Marcuses from the debating team who don’t understand the very real harm of racist culinary symbolism, the Maxine Beneba Clarkes who use ugly, abusive words to retaliate against pity, by those who are racist, by those who stand silent, by those who close their eyes. In short, this book should be read in Australian schools. P.S. Mark my words, The Hate Race will take out this year’s Stella Prize.